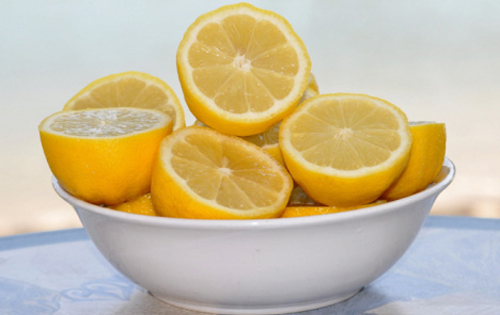 What Should you do When Life Gives You Lemons? Clean your Microwave. A friend of mine recently gave my a bag full of lemons fresh from his tree. So what do you do when life, or in this case a friend gives you lemons? You make lemonade! (It was delicious by the way). I knew there were ways to make homemade cleaning products from lemon juice and their peels, which we know had an abundance of, so I figured while I was in DIY mode I’d give a few a try. Since the inside of my micro-wave looked like it had gotten into a fight with a jar of spaghetti sauce I decided I would start there. Following some instructions I found online I pilfered 2tbs of the lemon juice from what my son had a squeezed for the lemonade we soon would be enjoying, and added it to a cup of water. I placed it the microwave for 3 minutes, and then used the water, after it cooled off, to wipe down spaghetti sauce splattered walls. It worked amazing well. The microwave looks and smells great. I’m looking forward to trying out some of the ideas I found.